I have chosen to make my home in the UK. I have a British passport, but I am also entitled to live in Canada (by birth) or the USA (by marriage), and as a well-qualified software developer I could be confident of finding a job in either country. But I like it here, and I'm happy to bring up my son in Britain. I am well aware the UK has serious problems, and I'll get to those in due course. First, I will outline some reasons why the UK is a good place to live. If we want one number to measure quality of life in a country, the standard is the UN's Inequality Adjusted Human Development Index (IAHDI). This is a composite measure of income, health, and education, adjusted for inequality -- so a more equal society gets a higher rating than one with a stark divide between rich and poor. It is expressed as a number between 0 and 1, with zero being the worst possible conditions and 1 being the best. The 2014 IAHDI report covers 150 countries. Their scores range between 0.893 in Norway, and 0.198 in the Central African Republic. 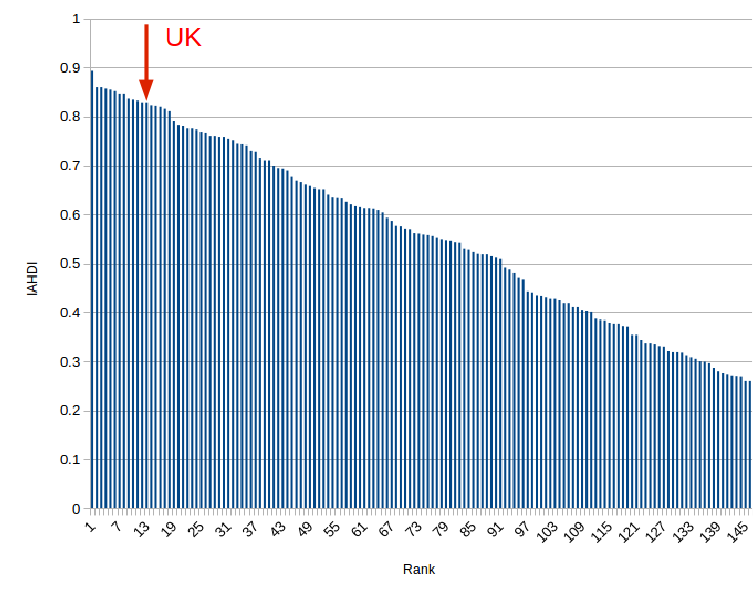 The UK places 13th out of 150, with a score of 0.829. By any reasonable standard, this is pretty good. It's better than France (18), Japan (21), and the USA (27). 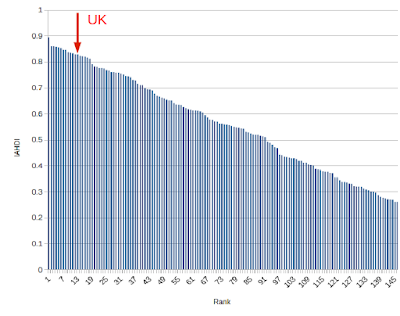 The UK is very much at the "good" end of the standard of living scale. Of course, there is always room for improvement. But if you look at the twelve countries higher up the table, seven of them are in the EU. The second highest IAHDI in the world belongs to the Netherlands, with a score of 0.861. Unlike Norway with its stupendous oil wealth, the Netherlands has little in the way of natural resources. It has prospered by hard work, good government and openness to trade. It was a founder member of the European Economic Community, which later became the European Union, and no country has been more strongly committed to the European project. I'd like to offer a simple observation: EU membership is no barrier to being a rich and well governed country, with opportunity for the ambitious and protection for the less fortunate. In other words: If the EU is so bad, why are the UK and other members doing as well as they are? The Leave campaign likes to insinuate the UK is a dystopian hell-hole, and our only hope of a brighter future is to withdraw from the EU. That is complete nonsense. 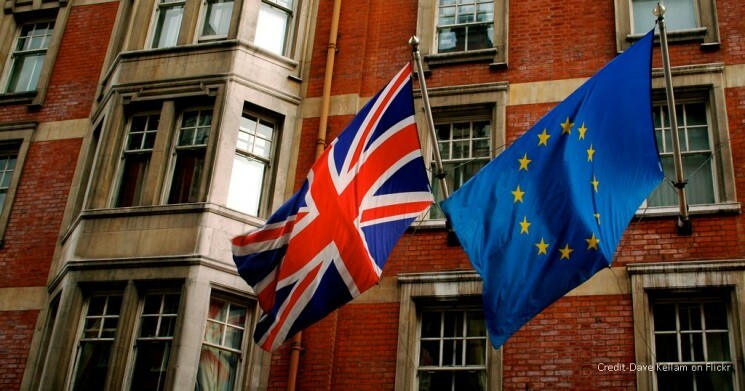 After 43 years of EU membership, Britain is a rich country with a largely good standard of living. British universities are great. In the Times Higher Education rankings, the UK has six out of the top 25 universities in the world, including three in the top ten: Oxford (2), Cambridge (4), and Imperial College London (8). Not bad for a small, rainy island in the European Union. The NHS is great. It did an absolutely fantastic job handling my son's birth, as it does for millions of other events large and small. British culture is great: Artists, filmmakers, musicians, writers, all are thriving here, making a vibrant and creative cultural scene second to none. None of these achievements has been noticeably hindered by membership of the EU. Many of them, particularly success in universities and research, have been positively helped by it. The British economy is not bad. As always, it could be better. But the unemployment rate is currently 5.4%, which is low by historical standards. A lot of people have a good, comfortable standard of living; not enough by any means, but a lot. Because the UK has wisely stayed outside the euro, the government largely has a free hand on taxes and spending. As I've said, I know the UK has serious problems. Numbers like the IAHDI indicate how things are for the average resident of a country. There are still far too many people in the UK whose lives are terrible through no fault of their own. We can and should do more to help them. The economy is drastically imbalanced between north and south, exacerbating a housing crisis in London and the south-east. The future of the NHS is uncertain, as junior doctors go on strike in opposition to government plans. The benefits system has been made increasingly cruel and incompetent. Cuts in government spending strike everywhere from libraries to health inspections. While most people have jobs, too many of those jobs are of poor quality, with low pay and little security. The economy is not too bad for now, but the rate of growth is only 0.4% and it would be foolish to be complacent. In the longer term, we face severe dangers from climate change, as well as war and instability in other parts of the world. We have the challenge of caring for an aging population. Our system of government badly needs reform; the House of Lords is an affront to the notion of democracy, the Conservatives enjoy a parliamentary majority based on 36.9% of the popular vote, and the question of Scottish independence is far from settled. 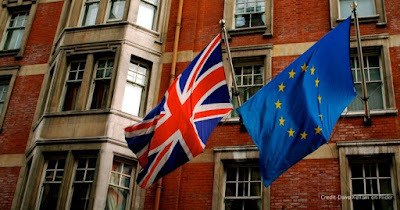 These problems have one thing in common: Leaving the EU would not seriously address them. We would still have a housing crisis if we left the EU: People are living longer, in smaller households, and they are moving to London and the south-east in the hope of finding good jobs. Lack of housing is caused by our simple failure to build enough houses. That is the UK's failing, not something imposed by Brussels. Conflict over benefits and public services is entirely self-inflicted. The UK's net financial contribution to the EU is only 1.2% of total public spending. We could easily increase taxes to pay for better services, but the government has chosen not to. Britain's low-pay culture has been driven by deregulation and corporate lobbying. Reform of the British constitution is entirely up to us. Climate change is too large a threat for any one nation to overcome; it is best faced in partnership with the rest of the EU, not in isolation. In the face of these challenges, the Leave campaign thinks our priority should be tearing up our trade relationships with the rest of the world. The UK's problems are very real, but leaving the EU will not provide a magic solution to any of them. It will not make us so rich that our economic and social troubles go away. On the contrary, independent economic forecasts predict a significant reduction in the UK's national income, which would cost us far more money than we saved by ending our contribution to the EU. The UK is a good place to live. I want it to become even better. I want our leaders to work on the real issues facing us, instead of having to manage a needless, complex and costly withdrawal from the European Union. That is why I am voting Remain on the 23rd of June. If you have a vote, then I hope you will do the same.